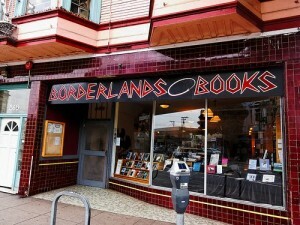 On the brink of closure just weeks ago, Borderlands Books, San Francisco, Calif., will remain open due to the immediate and enthusiastic customer response after last week's announcement by owner Alan Beatts of a fundraising campaign involving sponsorships, KPIX 5 reported. "We needed to get 300 sponsors at $100 each," said Beatts. "We had those in less than 48 hours from when we announced it. And at this point, the count for sponsors is just over 450." The Examiner reported that the "downpour of contributions began within the first two hours after Beatts blogged about a potential means to save Borderlands. In just that time, Beatts said more than 70 people called in or e-mailed their support, and the next morning the store was taking calls for most of the day from people interested in becoming sponsors." "Two people came up to me in the cafe this morning as I was having tea and, in both cases, just handed me a $100 bill," he said. "Though it has slowed down quite a bit from this weekend, people are still getting in touch." Recalling his eponymous indie chain, Daunt observed: "My bookshops were successful because I invested in people and always understood that is at the heart of what I do, you nurture talent." 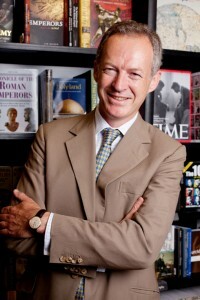 When asked why he would leave Daunt Books to "take on a vast, broken business like Waterstones," he responded: "Because if I didn't, my world was going to change radically and with pretty severe implications for everyone in this industry including me. OK, so suddenly 300 Waterstones shops close, 4,000 booksellers lose their jobs, we are much busier but the publishing industry here goes through a really traumatic period and almost certainly publishes fewer books, and a lot of smaller publishers disappear altogether. And there'd never be bookshops back in places where there are currently bookshops--through historical accident we have Waterstones bookshops in prime locations; they would go to H&M or Next or whoever, and we'd never get back in.... Just a very small number of very small, independent bookshops in secondary locations, with the economics of retailing now very much against the small independent. The reality is you have all the libraries closing down and then all the bookshops as well." Does he predict more disruptive tech surprises in the future? "Why don't you ring Mr Bee-Zos?... though he might not tell you. Maybe the blinking Google Glasses will shove it through your eyeballs." Management Today noted that Daunt "doesn't care, as he believes 'the pleasures of the physical book' will keep customers hooked." Online college textbook rental company Chegg will "stop managing the physical books that it rented out to students, and completely hand off that part of the business" to Ingram by the end of next year, the New York Times reported, noting that customers "will still use the company to order textbooks, as well as higher-margin digital services like e-textbooks, test preparation materials and career counseling." "This focuses Chegg," said CEO Dan Rosensweig. "This takes a big headache off the table and allows our investors to enjoy what a digital company can do." Amazon to Build Warehouse in Shakopee, Minn.
Amazon "is negotiating to buy 66 acres" in Shakopee, Minn., to develop a large distribution center, the Minneapolis-St. Paul Business Journal reported, citing "sources familiar with the negotiations who declined to be named to protect client relationships." The two sides "are very close to a purchase agreement for about half of the Shenandoah Business Park.... United Properties is owned by the Pohlad family, which also owns the Minnesota Twins among its many holdings," the Business Journal noted. 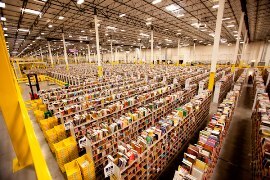 Amazon announced last fall that it would begin collecting sales tax in the state. 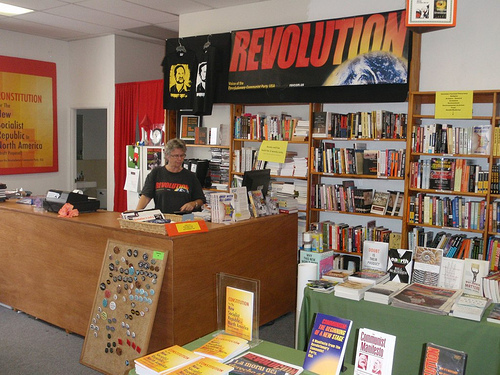 Revolution Books, a not-for-profit, all-volunteer leftist bookstore in Honolulu, Hawaii, has launched an Indiegogo campaign to raise $10,000 by March 20. According to the Indiegogo page, Revolution Books needs the money to "pay down debts, meet increasing costs of overhead, and expand our stock of progressive books that speak to current events and trends as well [as] revolutionary literature that puts forward a vision of the world as it COULD be." Since opening in 1976, Revolution Books Honolulu has served the University of Hawaii as well as activist communities in Honolulu. The store's political philosophy draws heavily from the work and ideology of Bob Avakian, activist and chairman of the Revolutionary Communist Party, USA. Revolution Books's inventory spans "books on history and political theory, novels and poetry, atheism and science, world geopolitics and philosophy," and the store hosts discussion forums, author readings, open-mics, film screenings and other events. Quarto Publishing has entered into a conditional agreement to acquire Ivy Press for £1.3 million ($2 million), the Bookseller reported. Founded in 1996, the publisher focuses on illustrated titles under three imprints: Ivy Press, Ivy Reference and Leaping Hare. 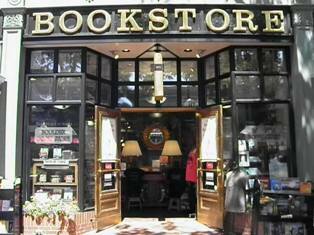 Its books have been distributed by Thames & Hudson since 2012. "We are delighted to welcome the Ivy team to the Quarto Group," said CEO Marcus Leaver. "We have long admired their creativity and innovation.... Further, we are pleased that Jenny Manstead, one of Ivy's co-founders, is returning to Quarto after spending time with us earlier in her career." 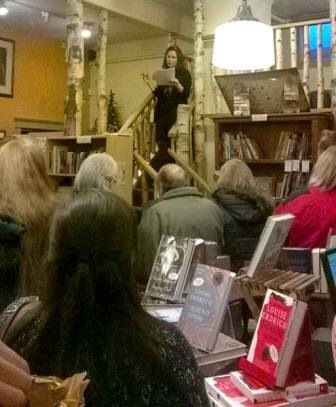 On Sunday, author Louise Erdrich, who also owns Birchbark Books and Native Arts in Minneapolis, read from her current work in progress during the bookstore's midwinter celebration. On Facebook Monday, the bookstore posted: "A big thanks to the *many* good folk who braved the subzero temps to come out to our Open House with Louise Erdrich event last night! It was a great success and a much needed boost for the bookstore at a (very) slow time of year. People loved the raffle items and were especially thrilled by the selections Louise read from a book in progress. Please continue to support all the local, independent businesses in your community. We couldn't do it without you!" Arsen Kashkashian, head buyer for the Boulder Book Store, Boulder, Colo., was interviewed by KGNU radio's Morning Magazine about independent bookstores and how they are surviving in the digital age. "We're a place where people can meet and talk, and books kind of engender that conversation," he said, adding: "You're looking at something that has an opinion or has a point of view and you engage with that. And that's what I think we offer the community." Noting that Boulder Book Store's sales have been improving and the store had one of its strongest holiday sales periods in several years, Kashkashian observed that it is still a challenge to compete in a digitally obsessed culture: "Ten to fifteen years ago, most people would have books, or newspapers or magazines. That change in the culture as to how we entertain ourselves in these in between moments, that's a challenge." 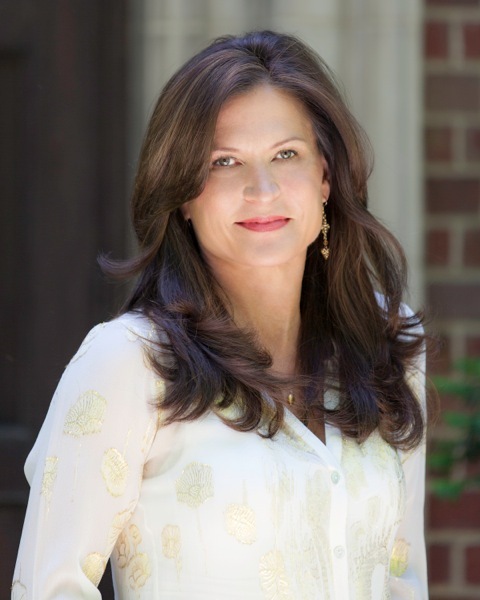 Meg LaBorde Kuehn has been promoted to CEO of Kirkus Media, a new position. She has been COO and joined the company in 2011 as v-p of business development. Before that, she was deputy publisher at Bard Press, an executive v-p and COO of Greenleaf Book Group and a literary publicist. Nick Henderson has joined the Simon & Schuster Children's Division as sales assistant. Most recently he was a college advisor for Harlem Children's Zone. Home by Carson Ellis (Candlewick), illustrator of the Wildwood series and artist for the indie band the Decemberists. Tomorrow morning on Morning Joe: Paige McKenzie, author of The Haunting of Sunshine Girl (Weinstein Books, $16, 9781602862722), which will be published March 24. Ben Jealous and Trabian Shorters, editors of Reach: 40 Black Men Speak on Living, Leading, and Succeeding (Atria, $15, 9781476799834). Principal photography has begun on War and Peace, a six-part miniseries based on Leo Tolstoy's classic novel. Deadline.com reported that the project is being made by BBC Cymru Wales in partnership with the Weinstein Company and BBC Worldwide/Lookout Point. Harper is directing a script written by Andrew Davies. Recently added to the epic's cast were Jim Broadbent, Gillian Anderson, Brian Cox and Ken Stott, who join Paul Dano, Lily James and James Norton, Stephen Rea, Greta Scacchi, Jack Lowden, Tom Burke and Aisling Loftus. Also in the cast are Rebecca Front, Kenneth Cranham, Aneurin Barnard, Tuppence Middleton, Callum Turner and Jessie Buckley. Winners were announced for the Windham Campbell Prizes, which "call attention to literary achievement and provide writers with the opportunity to focus on their work independent of financial concerns," the Bookseller reported, noting that the awards are worth $150,000 to each of the nine winners and "can be given for a body of work or extraordinary promise." This year's Windham Campbell winners are Teju Cole, Helon Habila and Ivan Vladislavić (fiction); Edmund de Waal, Geoff Dyer and John Jeremiah Sullivan (nonfiction); and Jackie Sibblies Drury, Helen Edmundson and Debbie Tucker Green (drama). In September, they will be honored at Yale University during an international literary festival celebrating their work. Ayelet Tsabari won the $100,000 Sami Rohr Prize for Jewish Literature for her collection, The Best Place on Earth: Stories. The award, which honors emerging writers who explore the Jewish experience in a specific work of fiction or nonfiction (in alternating years), is presented by the Jewish Book Council. Kenneth Bonert, author of The Lion Seeker, was named runner-up and will be awarded $25,000. Fourth of July Creek by Smith Henderson (Ecco/HarperCollins) has won the 2014 Montana Book Award, which recognizes "literary and/or artistic excellence in a book written or illustrated by someone who lives in Montana, is set in Montana, or deals with Montana themes or issues." The award will be presented April 8 during the Montana Library Association conference in Bozeman. Stacy Robinson, who holds a B.A. in International Relations from Stanford University, spent a three-year consulting and teaching stint in Japan, then returned to her hometown of Los Angeles to continue her career in international marketing. Eventually she moved to Denver, where she joined the Lighthouse Writer's Workshop and drifted back into the work she loves most--writing. Robinson enjoys the Mile-High City and nearby mountains with her husband, three children and chocolate Labrador non-Retriever, Jagger. Her debut novel, Surface (Kensington, paperback, February 1, 2015), explores the consequences of flawed choices, the complex nature of betrayal and forgiveness and the intriguing possibility of second acts. My stack runneth over: The Secret History by Donna Tartt, Gemini by Carol Cassella (novelist, physician, mother of two sets of twins and a master of the medical/family drama), Astonish Me by Maggie Shipstead, All Fall Down by Jennifer Weiner, What She Left Behind by Ellen Marie Wiseman and the last three issues of Vanity Fair. The entire Nancy Drew series, which was my gateway drug to Agatha Christie's detective novels (I preferred Miss Marple to Monsieur Poirot), which led me to the Sherlock Holmes canon. And, of course, the bible of every preteen girl in the late '70s: Judy Blume's Are You There God? It's Me, Margaret. I also read From the Mixed-Up Files of Mrs. Basil E. Frankweiler by E.L. Konigsburg no fewer than 20 times. F. Scott Fitzgerald, Joyce Carol Oates, Jodi Picoult, Nick Hornby and the great sharp-tongued satirists Dorothy Parker, Oscar Wilde, P.G. Wodehouse, David Sedaris--a bit of a cheat, but you know what Mr. W. says about excess. Ulysses by James Joyce. I've tried. Multiple times. Even on CD for a long road trip. One day, though, I will make it through. I think it would have to be The Poisonwood Bible by Barbara Kingsolver. Epic, moving, thought-provoking, masterful. I recommend it frequently. Where'd You Go, Bernadette by Maria Semple, and what a sublimely screwball and clever story it turned out to be. A snarky, unhinged mother, a precocious daughter, helicopter parents, the Russian mob and a trip to Antarctica--what more does one need in a read? Jitterbug Perfume by Tom Robbins. Here's the scene (mine, not Tom's): Finals week, sophomore year, brain-fried college student only five pages into a 20-page research paper due in two days, who is cramming for multiple exams. Drained of all creativity, I do what any harried student would--grab a Diet Coke from the mini fridge (or possibly a Coors Light, but it was definitely a Diet or Light something) and wander through the dorm in search of... anything. What I came back with was this wild, wise, fabulous book, which had me engaged and smiling within minutes of cracking the cover. What I learned was that reading for sheer pleasure, at a time when you least think you can afford to, often provides the jolt of needed inspiration. To this day, I start my writing by reading. And, really, there's no better way to procrastinate. A giggler from Ham: Slices of a Life by Sam Harris: "I fear that my karmic lesson in this lifetime is humility. And I think that lesson is beneath me." I recently took one of those online quizzes that promised to answer this very question. After computing my responses to questions about flaws, favorite animals and weekend plans, the gurus came up with Hermione from Harry Potter, for her wit, intelligence, love of a challenge and, above all else, her stability and rationality in all things. While that describes my personality to a fair degree, my nubile schoolgirl days are looong past, and I'd much rather have gotten Lady Brett Ashley, for her seductive glamor and irresistible power over men, with that hint of vulnerability. Or Nora Charles, for her sly repartee and martini-swilling heiress ways. But most of all, I'd go with Thursday Next, the wit-slinging literary detective who's part Nancy Drew part John Cleese, bursting with clever wordplay, allusions and trivia. Thursday has the coolest job in fiction. The Book Thief. The unexpected narrator had a profound impact on me, and Zusak's mesmerizing, often chilling prose reminds readers of the resilience of the human spirit and the power of words. It's always good to get a fresh dose of that. Bettyville: A Memoir by George Hodgman (Viking, $27.95, 9780525427209). "A witty, tender memoir of a son's journey home to care for his irascible mother--a tale of secrets, silences, and enduring love." Miss Hazel and the Rosa Parks League by Jonathan Odell (Maiden Lane Press, $16, 9781940210049). "Minnesota resident and author of The Healing Jonathan Odell has teamed up with indie publisher Maiden Lane Press to release a repackaged and revitalized version of his early novel The View from Delphi with the new title Miss Hazel and the Rosa Parks League. A native of Mississippi, Odell's novel is a personal tale of overcoming prejudice within the epicenter of the civil rights movement." The Big Seven by Jim Harrison (Grove Press, $26, 9780802123336). "In a story shot through with wit, bedlam, and Sunderson's attempts to enumerate and master the seven deadly sins, The Big Seven is a superb reminder of why Jim Harrison is one of America's most irrepressible writers." From the first lines of this picture-book biography of Edward Estlin Cummings (1894–1962), debut children's book author Matthew Burgess sets up the kind of juxtaposition the poet loved: "Inside an enormous city/ in a house on a very small street,/ there once lived a poet/ I would like you to meet." Shelf Talker: This biography of E.E. Cummings, a favorite poet among children, demonstrates through words and pictures the importance of an open heart and a sense of wonder.